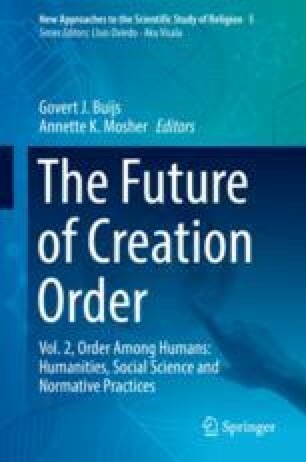 In this response to the contribution of Zuidervaart, the idea of creation order, which is an important element in the Kuyper-tradition and which Zuidervaart criticizes, is defended. However, the grounds for this defense that are offered here, are not often called upon in relation to the idea of creation order: our human experiences of suffering. They may give us a hermeneutical witness to something like “creation order.” For suffering to be experienced as suffering, a goodness has to be presupposed as ontologically prior. It is argued that, ethically speaking, restoring the goodness of creation (including its developmental potential) is to be preferred above an ethic that is composed in an eschatological key. Zuidervaart’s terminology of “macrostructures” is questioned for systematic reasons but the critical impetus of the terminology is acclaimed especially for its connection to “societal principles” that may give orientation to our actions in the late-modern world.